Quareia: advancing the education of the public in the subject of Mystical Magic/Western Esoteric Mysteries, including the concept of personal spiritual evolution, in a way that is accessible regardless of income, race, gender, religion or spiritual beliefs. The new school of magic for the 21st century: a concept that was born out of conversations between adept founders of Quareia Josephine McCarthy and Frater Acher. Or help us with a one off donation, or a monthly amount of your choice. Every little helps, and can make a major difference to us. Please note: The Quareia Foundation and Quareia Publishing are now two separate unconnected entities. For Quareia Publishing, which produces books and decks please visit the Quareia Publishing website. To contact the author Josephine McCarthy. For more information on Frater Acher. The course is written in a strict sequence, and each lesson advises you how often to do something, what tasks to do, and so forth. Start with Apprentice module one, lesson one, and work your way through each module, always working the lessons in number sequence (1, 2, 3 etc). The course is specifically designed so that each lesson builds upon the next. If you cherry pick the lessons, they will make no sense to you and they will not work to their full magical potential, as each lesson dovetails magically into the next. In the early modules, you will find that some lessons can be done side by side, but as the course progresses, each one lays a foundation for the next lesson. 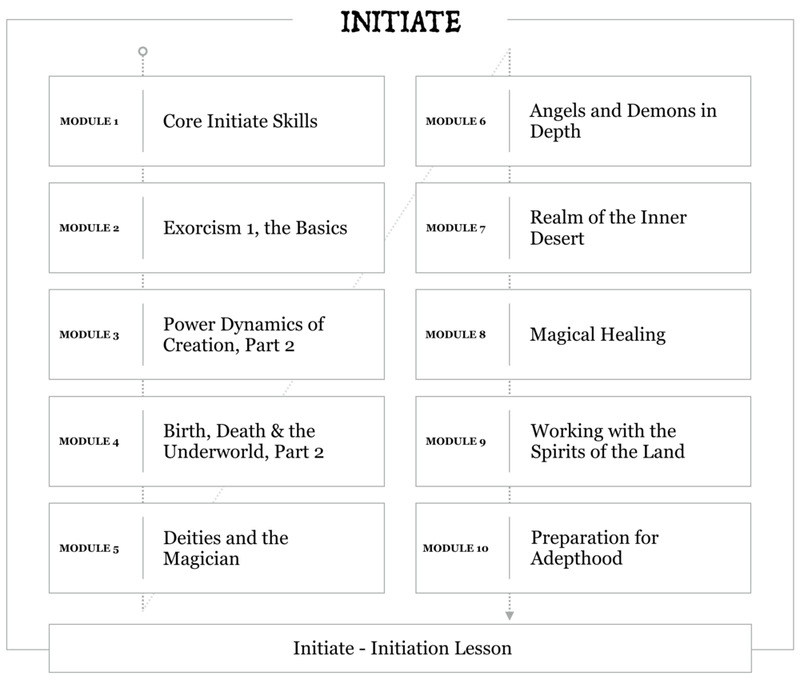 If you have already had major magical training, still don't skip over modules or lessons as they form part of an overall magical inner pattern. Instead, you will find that you only need to do a certain exercise once rather than the suggested repeats. This will help you move faster through the pattern of training. Within the lessons are many subtle pointers, details and pertinent information. Do not skim through the lessons as you will miss the fine details woven into them: even if you feel you have already covered the subject matter, many of the lessons, even the most basic ones, have seeds within them for the later work. These seeds are not in any of my books or anyone else’s books: work carefully if you wish to be successful. Do not rush through the lessons. Some of the lessons have exercises within them that are energetically tough and are designed to push you in mind, body and soul, to strengthen you and focus you in subtle ways. Find your own pace that works for you and treat the course like long term marathon training. This course takes years, not months. And most important of all, enjoy yourself. There is a lot of fun and curiosity written into the course, and if you are enjoying what you do, you will learn better and the lessons will stick in your mind. Each lesson potentially has a combination of exercises, journal keeping, computer logs, and most have experiments. When you are directed to specifically put something into your journal, it usually refers to handwriting in a physical journal. You can also then type it into a computer file if you wish. Most written work can be done on computer. These files and portions of journals will be requested as evidence for mentoring application. Even if you do not wish to be mentored, the handwriting work with the journal is important, as it is a pre cursor exercise to learning how to achieve ‘contacted writing’, and is also an element in learning how to empower sigils. If you have serious hand problems, then simply use computer journals. It would be wise to read the Quareia Apprentice study guide as it is designed to inform, guide you, and answer most questions that arise. It can be downloaded free from the free texts section. During the apprentice phase, the only companion on this journey for the student will be themselves. This is for a number of reasons, the biggest one being that before a magician can step into magical power, they have to first step into themselves. This can only happen by taking responsibility for oneself; learning how to self motivate, and to be able to work alone, unaided, and without a cheerleader, mummy, or daddy to hold ones hand. The news section of the website holds various posts that discuss problems and questions that have come up through feedback with students. In particular, issues with meditation have been addressed through these posts, and you may find the advice in the news section useful in your practice. There are also various posts on my personal blog that refer directly to issues regarding Quareia training, with advice and tips on how to approach Quareia study. This section builds upon the Apprentice section and begins to weave in more skills, practice, knowledge and information for the magician in training. It carefully leads the aspiring magician through the next layer of magic through more practical tasks, lessons and experiments. Through this section the magician looks in more depth into specific types of beings, cultural expressions, and techniques, and learns how to work safely with them; lessons are learned that teach the magician how to keep strong, healthy and sane while exploring in magic, and the next level of technique is studied in depth which will sit firmly on the foundations laid down in the work done throughout the first section. 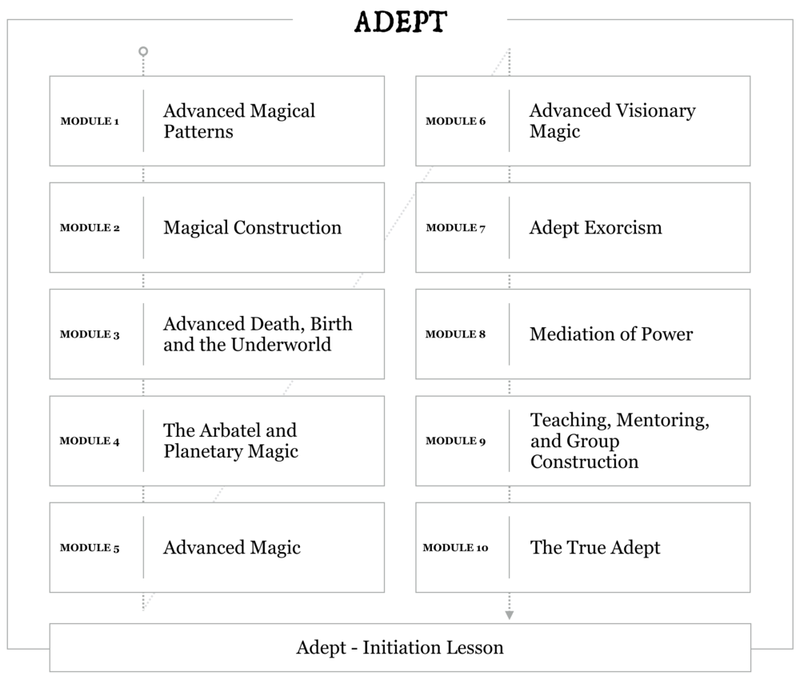 This final section leads the magician into the advanced stages of training and equips the magician with the knowledge, skills and tools to step into the life of a true magical Adept. Although there are many aspects of magic in these modules that are not normally written about in magical books, there are also things intentionally left out: it is the role of the teacher to lead the magician to the door, but the magician must recognise that door for themselves, and be able to step through it alone, without prior knowledge. Every lesson is this section points to a specific ‘door’, but it is up to the magician themselves to actually recognise these doors, to be able to step through them, recognise the room they are in and learn for themselves how to operate magically. This is a very traditional way of teaching and potentially exposes the magician to vast, deep and powerful magical Mysteries.